25 Effective Ways To Treat, Prevent And Remove Split Ends!!! Split ends are a recurring nuisance. They make your hair look dry, frizzy, and damaged. Moreover, your hair stops growing when you have too many split ends. Is meticulously searching and cutting off split ends strand by strand or chopping off your hair the only solution? Of course not! We bring to you the best natural ways to prevent and repair split ends to keep your hair healthy, luscious, and long. Read on to put an end to split ends. A split end is the splitting of the hair shaft at the tip of your hair. 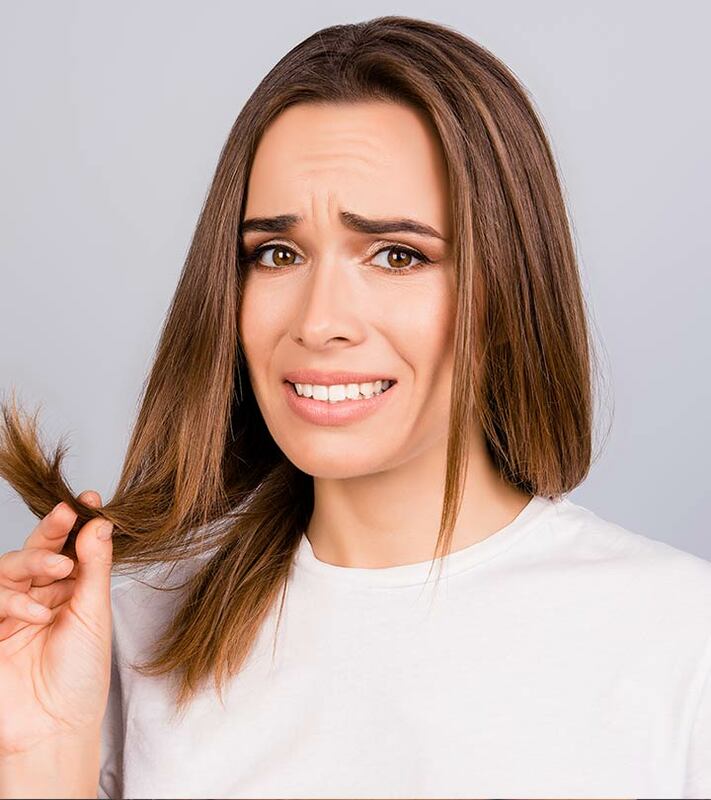 It is also known as trichoptilosis or “arrangement of feathers in definite areas.” And that’s because when split ends are not taken care of, the hair strands start to break at different points, making your hair look like a feather. Now, the big question is – why do we get split ends? Find out the leading causes below. Why Do You Get Split Ends? Split ends are a sign that your hair is damaged. Years of improper hair care, harsh chemical treatments, and improper way of brushing lead to split ends. They can also occur if you are malnourished and are not getting enough protein, vitamins, and minerals from food or supplements. As a result, the natural oils produced by the hair follicles are unable to travel down the length of the hair, making it look dry and frizzy. What adds to the damage is not taking care of your hair externally by using natural conditioners. But don’t worry, you’ve still got time to repair your hair. Here are 25 ways to get rid of split ends. Take a teaspoon of coconut oil in your palm and apply it to your hair from the roots to the tips. Make sure you apply enough oil to the tips. Clip up your hair and cover it with a shower cap. Leave it on overnight. In the morning, shampoo your hair to get rid of the excess oil. Towel dry your hair. Do not use a hairdryer. Do this every two to three days for best results. 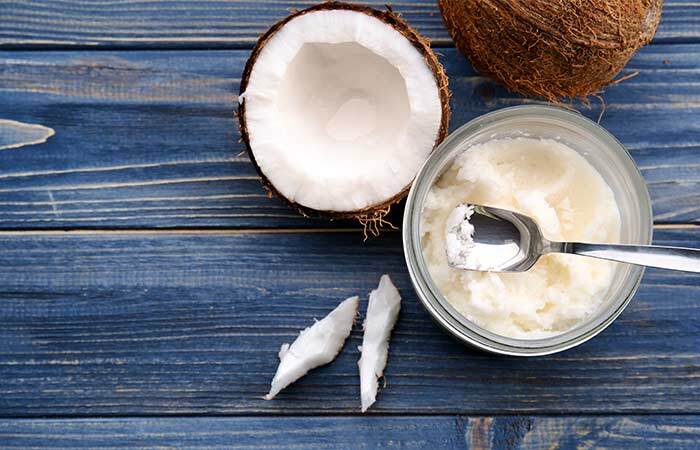 Coconut oil is a brilliant moisturizer and a natural healer. It contains medium-chain fatty acids that enable it to penetrate your hair easily. It moisturizes and nourishes your hair and is great for preventing and repairing split ends. Take coconut milk in your palm and apply it to your hair from the roots to the ends. Clip up your hair and cover it with a shower cap. Keep it on for 1-2 hours. Rinse your hair using a herbal shampoo. Once every two to three days. This is a natural home remedy that will give you the feel of a hair spa done in a posh salon. Coconut milk is loaded with vitamin E that prevents recurrence of split ends, reduces frizz, and rehydrates your hair. The medium-chain fatty acids help condition and smoothen the rough edges of your hair. The vitamins C and B and the minerals calcium, iron, and magnesium stimulate hair growth. Coconut milk is available in supermarkets, and you can store it in the refrigerator. Since it solidifies at cold temperatures, keep it at room temperature for a while for ease of application. After shampooing your hair, towel dry it. While your hair is still damp, apply a small amount of Moroccan oil from the mid-shaft of your hair till the end. Leave it on to dry. Do this every time you shampoo. You can also use it in between your shampoo days if you use too many styling products or tools. Moroccan oil makes your hair soft and shiny and reduces the visible signs of hair damage, including split ends. It is rich in vitamin E and omega-3 and omega-6 fatty acids that help to strengthen and deep condition the hair. While your hair is still damp, apply argan oil from the mid-shaft of your hair till the end. Apply argan oil every time you shampoo. You can also use it in between your shampoo days if you use too many styling products or tools. 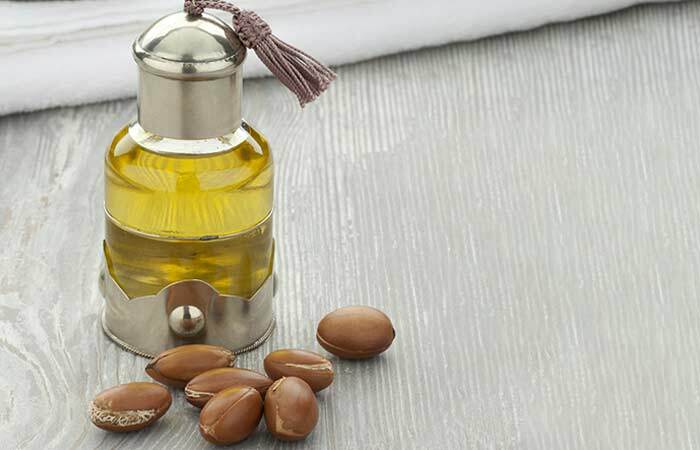 Argan oil, also known as liquid gold, is extracted from the argan kernels. It reverses hair damage and helps prevent split ends. The vitamin E, antioxidants, and fatty acids present in argan oil make it an excellent rehydrating agent. Dilute the castor oil with coconut oil. Take a teaspoon of the mixture in your palm. Rub your palms together and then apply it to your hair, starting from the roots till the ends. Clip up your hair and cover it with a shower cap. Leave it on for 1-2 hours. Rinse your hair with a herbal shampoo. 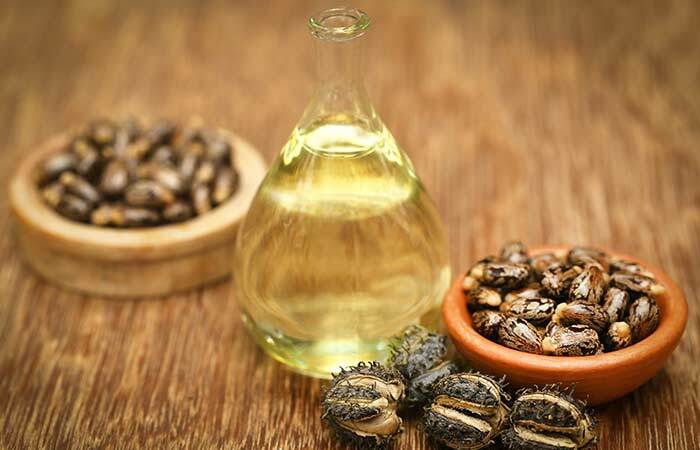 Castor oil has a low molecular weight and can penetrate the hair shaft. It repairs and rehydrates the hair, reduces itchy scalp, promotes hair growth, and the antioxidants help protect from split ends. Take the almond oil in a bowl and heat it. Take a teaspoon of the warm oil in your palm and apply it to your hair from the roots to the tips. Massage your scalp in a circular motion. Clip up your hair. Cover it with a shower cap and keep it on for 1-2 hours or overnight. Use a herbal shampoo to rinse your hair. Almond oil is rich in omega-3 fatty acids, phospholipids, vitamin E, and magnesium. These nutrients help strengthen the hair follicles, accelerate the repair process, and prevent dryness. Apply the mixture to your hair from the roots to the ends. Avoid the roots if you have an oily scalp. Clip up your hair, cover it with a shower cap and keep it on for 1-2 hours. Honey helps to retain and regulate moisture in the hair. 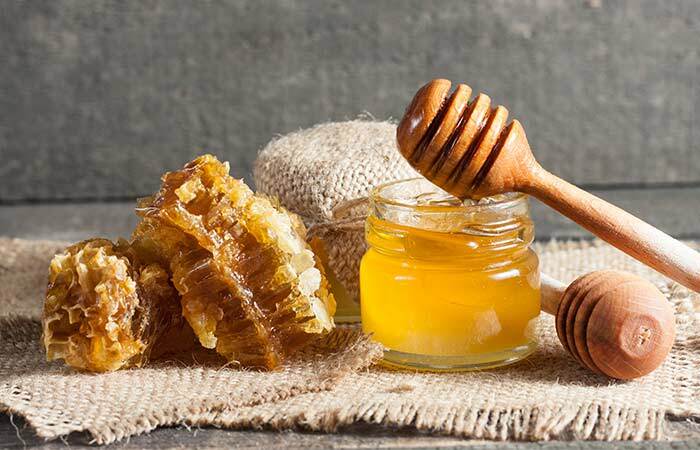 The honey mask helps prevent split ends by strengthening the hair follicles and providing hydration and nutrition to the hair. Mix the papaya pulp, yogurt, and almond oil in a bowl. Take the papaya blend and apply it to your hair from the roots to the tips. Clip up your hair. Cover it with a shower cap and keep it on for an hour. This is a natural remedy that provides deep nourishment to your hair. Papaya, almond oil, and yogurt help prevent dry and itchy scalp, promote hair growth, and improve hair health, thereby reducing the risk of split ends. In a bowl, mash the banana. Add the coconut milk and mix well. Apply the mixture to your hair from the roots to the tips. Avoid the roots if your scalp is oily. Rinse your hair with a herbal shampoo and towel dry it. Do this once a week to see amazing results. When it comes to treating damaged hair, this mask works like magic. 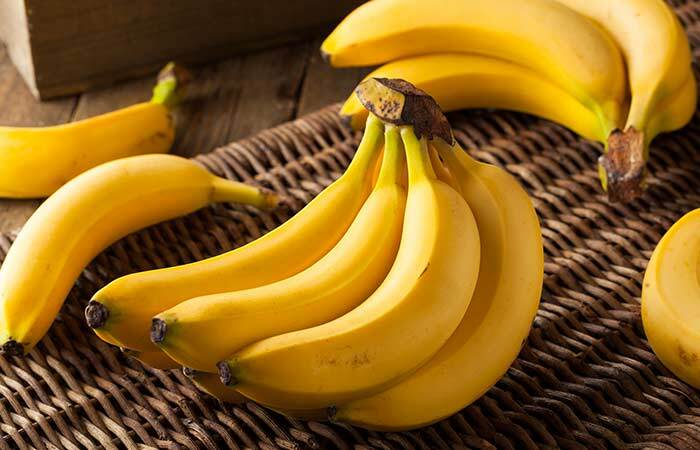 Banana is an excellent natural conditioner. It helps improve the hair’s elasticity, thereby preventing breakage. This mask is rich in oils, antioxidants, minerals, and vitamins that help soften the hair. Mix the egg white, coconut oil, and organic honey in a bowl. Apply the mixture to your hair from the roots to the ends. Rinse your hair and towel dry it. This hair mask not only helps repair split ends but also imparts shine to the hair. Eggs are rich in protein, and hair is made of protein. The egg mask provides nutrition and nourishment to the damaged hair, thereby repairing the split ends. 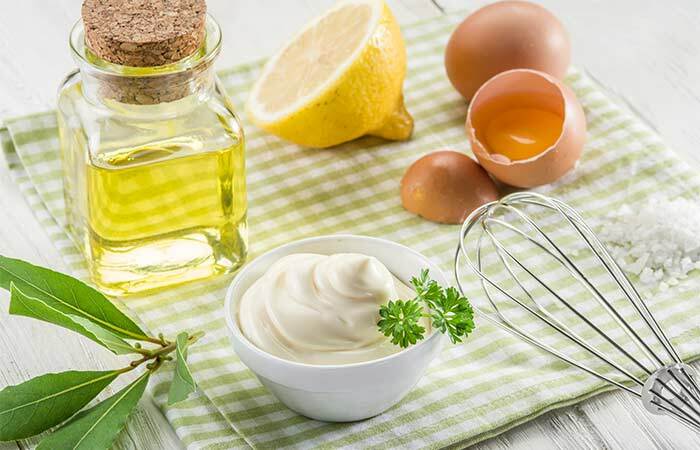 Mix the mayonnaise and aloe vera gel in a bowl. Apply this mixture to your hair from the roots to the tips. Clip up your hair and cover it with a shower cap. Keep it on for an hour. Shampoo your hair and towel dry. Did you think mayonnaise can just make wraps and sandwiches better? Turns out, it can make your hair better too! It is made of eggs and oil, both of which help hydrate the hair. This mask helps repair the split ends, promotes hair growth, and protects the hair from dryness and damage. Add almond oil and whip until it becomes smooth and light. Apply the mask to your hair from the roots to the ends. Clip up your hair and cover it with a shower cap. Leave it on for an hour. Shampoo your hair with a herbal shampoo. Avocados are rich in vitamin E, minerals, and other phytonutrients that help retain moisture in the hair and prevent further hair damage. Mix the curd and fenugreek seed powder in a bowl. Rinse your hair with a herbal shampoo and lukewarm water. 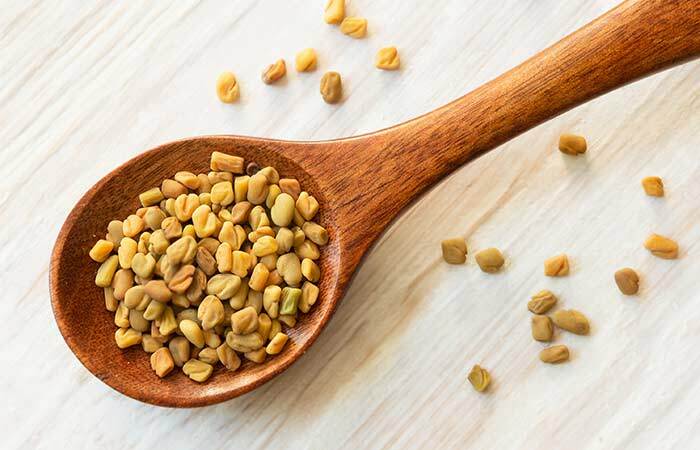 Fenugreek seed powder mask has been used for split ends since ages. It stimulates hair growth, prevents hair damage, and hydrates the hair follicles and cuticles. Mix the onion juice, coconut oil, and almond oil in a bowl. Apply this mixture to your hair. Avoid applying it to your scalp. Though chopping onions can make you cry, applying onion juice can make prevent your hair from crying out for help. Onion juice is rich in sulfur that prevents hair breakage and thinning. The onion mask provides nourishment to your hair follicles and promotes hair growth. 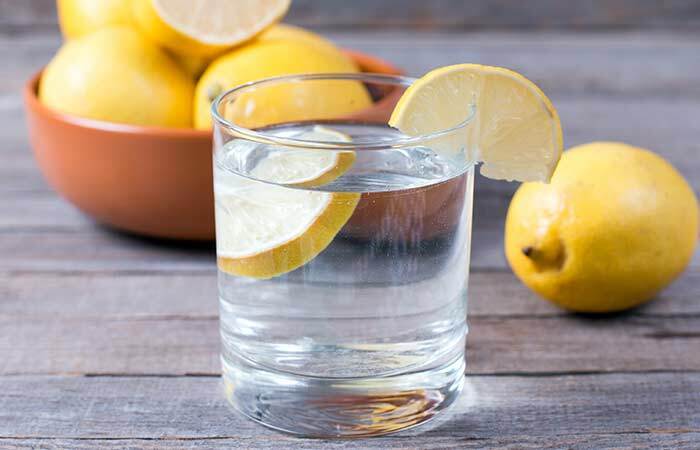 After shampooing your hair, give it a final rinse with lemon water. Dab your hair with a dry towel to soak the water. Do not rub the towel vigorously. Do this whenever you wash your hair. Lemon water is an excellent hydrating agent and a natural conditioner. It helps retain moisture and prevents breakage of hair strands. Mix the aloe vera gel and lime juice in a bowl. Apply this mixture to your hair from the roots to the hair tips. Shampoo and towel dry your hair. Aloe vera gel is rich in folic acid, niacin, and other phytonutrients that help improve the hair health, add volume to the hair, and protect from sun or heat damage. Do this twice or thrice a week. 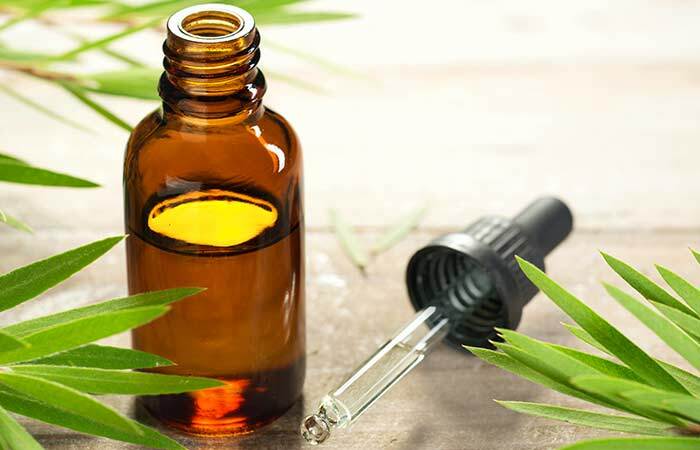 Tea tree oil has antifungal and antibacterial properties and helps to maintain scalp and hair health. This mask moisturizes the hair and repairs dry and damaged hair. Mix the curd, olive oil, and honey in a bowl. Curd mask provides moisture to the hair and prevents breakage of the hair strands. Mix rose water, lime juice, honey, and water in a bowl. 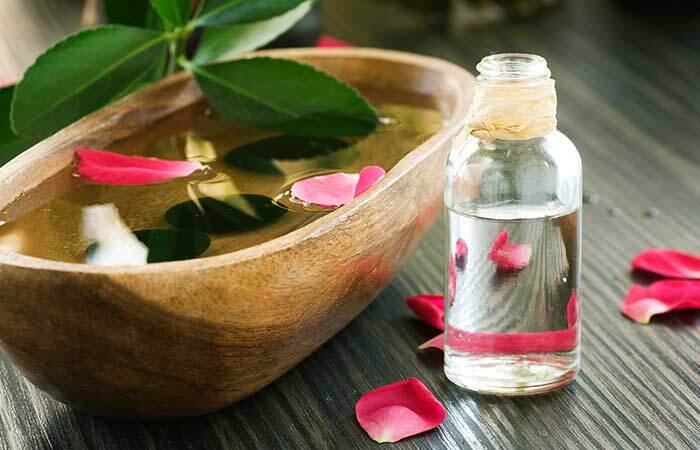 Rose water boosts blood circulation and improves hair health. This mask will help your hair grow longer quickly and reduce the chances of recurrence of split ends. Mix apple cider vinegar and water in a bowl. After shampooing your hair, wash it with the diluted apple cider vinegar. Apple cider vinegar smoothes the cuticles of the hair, thereby preventing hair strand breakage and damage. 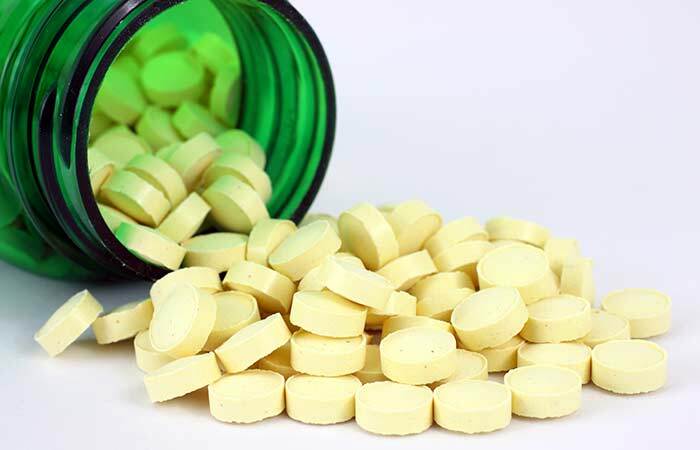 Talk to your doctor before taking a folic acid-biotin supplement for split ends. Take only the recommended dosage for best results. This supplement helps strengthen the follicles and cuticles of the hair and prevents hair damage and hair loss. Mix beer and honey in a bowl. Massage this mixture into your scalp and the hair tips. Clip up your hair and leave it on for 30 minutes. Rinse with a herbal shampoo. Beer contains sugar and protein that help strengthen the hair and prevent split ends. Microwave the walnut oil for 10 seconds. Massage your scalp and the hair tips with the warm oil. Clip up your hair and leave it on overnight. Do this every two to three days to see best results. 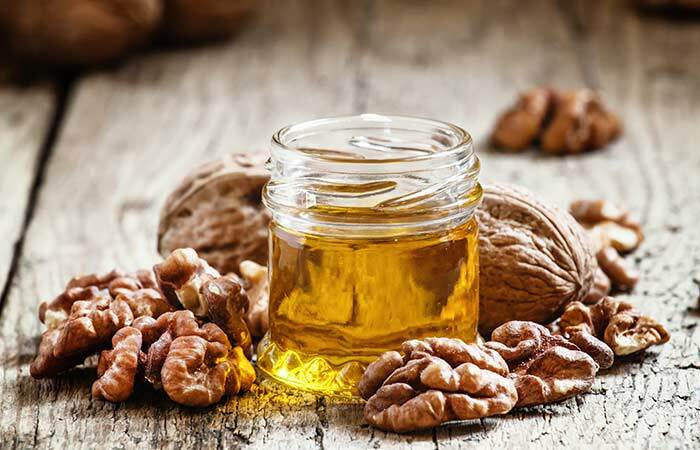 Walnut oil is another natural remedy for split ends. It is a great source of healthy fats that moisturize the hair and prevent split ends. Yes, you want to grow your hair, but if you have too many split ends, it is better to get your hair trimmed – just a little. Take a professional’s help to get your hair trimmed. The hairstylist can see how many split ends you have and will remove the damaged hair. Be patient. Your hair will grow back. Dry and unhealthy hair doesn’t look good no matter how many hair products you use. Start taking care of your hair by oiling and applying hair masks regularly. Getting your hair trimmed will prevent it from looking dry and frizzy and also prevent further damage. Get an appointment with a professional. 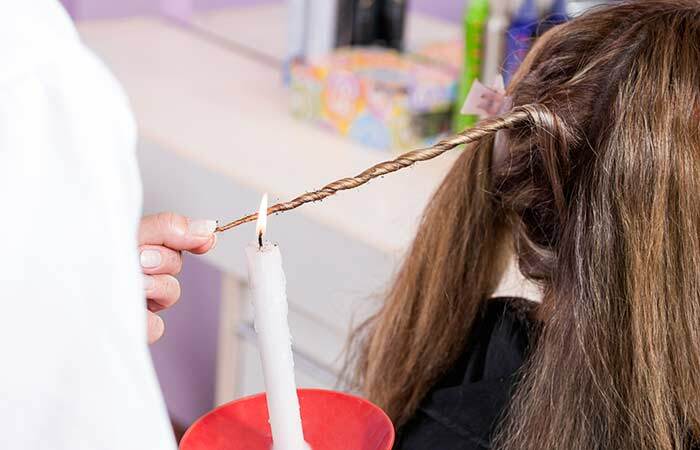 Sections of your hair will be twisted and the damaged hair sticking out will be burned with the help of candle flame. When you have split ends that you need to get rid of. Candle cutting is a new technique that originated in Brazil. It is essentially used to remove split ends. You can keep the length of the hair long and get rid of the split ends as well. This should always be done by a professional who is an expert in candle cutting. Remember, it is not a DIY hack. Do NOT try this at home. These are the 25 ways you can get rid of, prevent, and avoid getting split ends. But how do you know that you have split ends? Part your hair in the middle and section it. Hold one section in between your middle and index fingers. Take a look at the ends of your hair. You will know that you have split ends if you see any of the following. What Are The Different Types Of Split Ends And What Do They Mean? Basic Split – The typical Y-shaped split end. Your hair needs more nourishment and can be treated. Mini Split – A smaller Y-shaped split that signals the beginning of a split end. Nourish your hair with the hair masks listed above before it’s too late. Fork In The Road – A three-way split end. This shows your hair is damaged and needs immediate attention. The Tree Split – Many split ends in one single strand of hair. Your hair is damaged, and you need to get a trim. The Candle – The end of your hair has lost its cuticles and looks thinner than the upper part. You need to get a trim or candle cut. 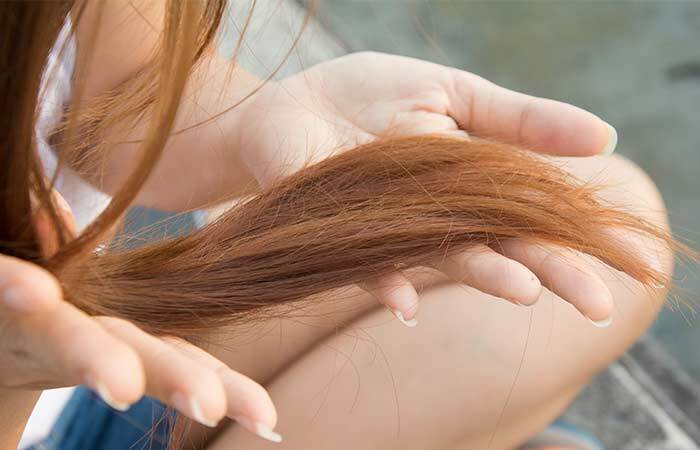 The Knot – This is a common problem and can lead to hair breakage and hair fall. You should get rid of it by getting a trim. Now that you know if you have split ends, it’s time to use some the above methods to prevent and avoid them. Before we conclude, here are a few quick tips to take care of split ends. Use good quality hair brushes and combs. Make sure you only use hair products of a reputed brand. The products should be gentle on your hair. Try to alternate between home remedies and commercially available products. Salon treatments may be a bit expensive but are good nonetheless. Book yourself some deep conditioning appointments and go for regular hair spa treatments. If you want to snip off the ends at home, make sure you use proper hair scissors or hair shears. Using regular paper scissors can cause further damage by causing split ends. Use as few chemicals as possible. Always use protective products like leave-in conditioners, hair serums, and heat protecting serums. This will ensure your hair gets as less damage as possible. Always rinse your hair before swimming and take a quick shower after. This will help you avoid chlorine build-up in the hair and prevent split ends. Always comb gently. Avoid brushing your hair when it is damp. Keep your hair tied as much as possible. Open hair is more prone to damage. Split ends are annoying and can ruin your look. So, take care of them before it’s too late. Try these easy methods today and get amazing results in just a few weeks. Cheers! Split ends rob your hair of their shine, they also hinder your hair growth. 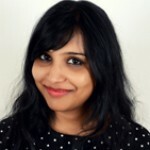 Read on to know all about the importance of trimming split ends and how to do it the right way. 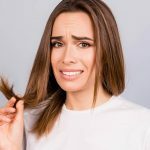 Often, girls with long hair face the problem of split ends, and chopping off 2-3 centimeters of hair every time to get rid of damaged ends is not a good idea since your hair will remain the same length. There are a few possible answers to this frequently asked question. Most of us crave for healthy, thick, and long hair, and it is quite depressing when our hair stops growing. Movies and TV shows can be deceiving. They show women with long flowing tresses dancing and twirling in the wind without worrying about their hair getting horrendously tangled.